The Universitat Rovira I Virgili is located in the province of Tarragona, close to Barcelona, in one of the most popular tourist destinations in Europe. It is a young and dynamic university serving the needs of society, open to the world and, at the same time, closely connected to its social and economic surroundings. 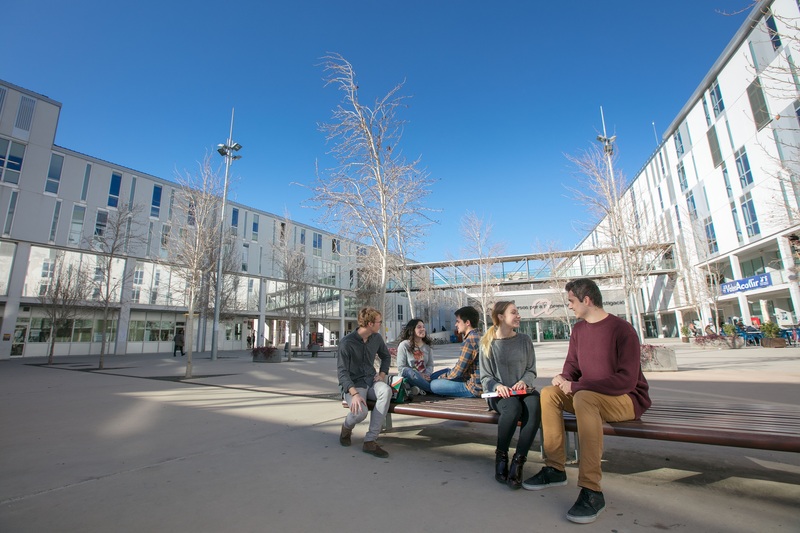 The range of academic programmes offered by the URV covers all fields of knowledge: engineering and architecture, arts and humanities, health, and social and experimental sciences. We offer a wide range of programmes including bachelor’s degrees, master’s degrees and doctoral programmes, as well as lifelong training programmes for professional development. Our aim is to provide you with the best training. With your motivation and our experience you can stay ahead in your personal and professional development and reach your goals. How can we help you to stay ahead? Don't miss your chance next year to have a URV experience! The development of new systems of intelligent, environmentally friendly and integrated transport systems is one of the most important challenges in the 21st century, above all in terms of emissions and the type of energy used. The social interest and industrial business generated by electric vehicles increase the demand for professionals qualified in all the related areas of technology. The main aim of this 60 ECTS credits Master is to provide advanced education in the strategic management and marketing of destinations and tourist territories. The programme specifically aims at capacitation, innovation, and leadership in the competitive and sustainable development of tourism, based on the recognition of its economic, social and cultural complexity and importance. Business and contracting are decisive for the forces that drive the region's economy: industry, commerce, real estate, services, agriculture and petrochemicals. This master's degree offers advanced training in the private law applicable to businesses and individuals. The aim is to offer interdisciplinary training as an added value to meet the demand for specialisation and strategies in Spain, the EU and the world in times of growth or crisis. The aim of the master is to prepare professionals in the field of energy, environment and sustainable production with rigorous scientific and technical background, capable of providing a flexible and multidisciplinary response to the challenges of building a sustainable society through the conception, design, evaluation, implementation and management of environmentally friendly processes, consumption of natural resources and health. The overall objective of this master's degree is to train you to become researcher and professional in the field of fermented beverages, especially wine, sparkling wine, and beer. The objective of the Master's Degree is to respond to two types of training demands. On the one hand, it aims to train professionals who combine analytical skills and practical knowledge in the field of international markets. At the same time, they acquire leadership skills. Thus, students complement their theoretical learning with practical strategies related to internationalisation and/or innovation, international financial markets operating rules and technical analyses of international issues. The Master’s Degree in Professional English-Spanish Translation seeks to train translation professionals capable of adapting to market needs, meeting clients expectations and successfully managing their own business. The master’s programme includes subjects aimed at developing a broad range of professional skills in technical, legal and literary translation, and providing a functional introduction to new translation technologies. The Master's Degree is focused on training strategic communication professionals for companies, organizations, and institutions. The content offers a solid background in the field of communication management, as well as a basis for academic research. The optional subjects allow an incursion in the field of communication of tourism and heritage or political communication. It is based on the Masterdec Experience which identifies and distinguishes it based on three concepts: strategy, internationalization, and personalization. First taught in 2007, the Master’s Degree in Foreign Language Teaching (SFL/EFL) has now split into its two component specialities: English and Spanish. The resulting Master’s Degree in English Language Teaching aims to train professionals to teach English for both general and specific purposes. The degree is a combination of professional and research tracks, and it is designed for national and international graduates, with or without experience, who wish to work professionally in the field of English language teaching.